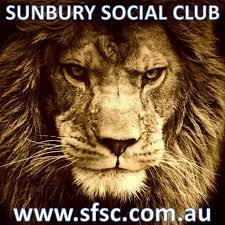 Unfortunately Sunbury Roar went down to Riddell Bombers in the Grand Final of the GDCA Kookaburra T20 Shield on Tuesday night. After posting an impressive total Riddell took early wickets making the task difficult for our team in the failing light. Winners of the GDCA T20 title go on to play in country Victoria zonal matches. As last seasons GDCA T20 competition winners Riddell had already progressed to the next round of zonal matches last week by defeating Nathalia. This week our McIntyre XI travel to play in a 40 over one-dayer in Bacchus Marsh on Saturday and our 2nd XI host new comers to the GDCA, Kyneton for the first time at Clarke Oval. Go the mighty Roar !